Spread the ricotta in a small serving dish. Season with pink salt and white pepper and drizzle with the olive oil. Chop dark chocolate into fine slivers and sprinkle atop. Serve with crackers. 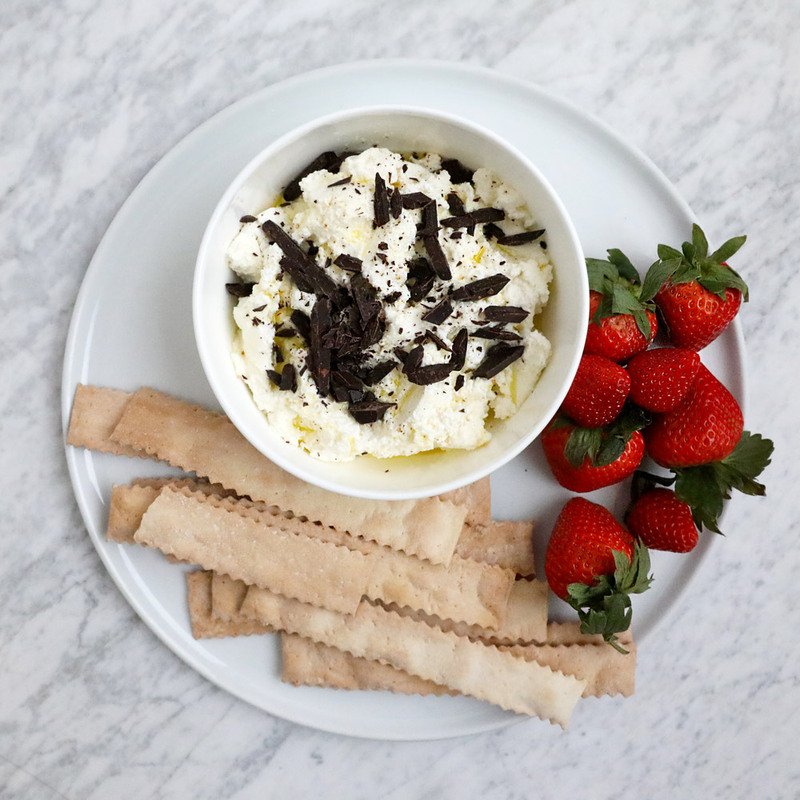 You can also serve this Ricotta with a hors d'oeuvre plate. I included nuts, cherries, a few other cheeses and some black pepper crackers.